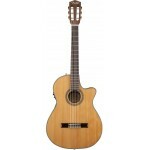 Whether you're primarily a steel-string player looking for a comfortable classical, or you're lookin.. The all-new CC-140SCE boasts a premium feature set for an instrument of its class, including a solid..
Fender/Fishman Presys pickup system with active onboard preamp and tuner on this Fender CD140SCE Aco..
Slightly reduced dimensions and Fishamn electronics make it perfect for performance. 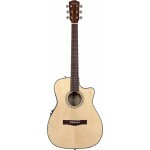 Ideal ..
A solid spruce top 12-string designed for the stage! 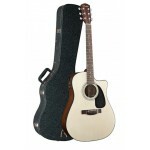 The CD160SE-12 dreadnought guitar from.. 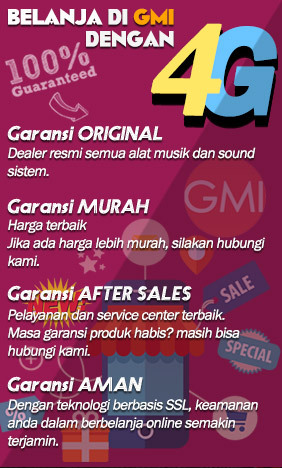 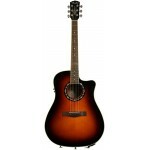 Delivers great playability, great sound and great looks. 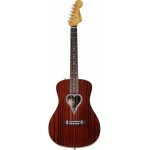 Bringing Fender quality to just ab..
Chicago punks Alkaline Trio jumped in on the design of what must be one of Fender's most distinctive..
Ride the wave of Fender's rich musical history and SoCal style. Cowabunga! Grab your board ..
Big sound at an affordable price. 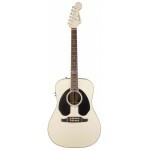 Anchor Don't let the small body of Fender's CD360SCE auditor..
OVERVIEW Great for acoustic rocker presentation. The Wayne Kramer Dreadnought is a distinc..
OVERVIEW Get some big air with this gnarly acoustic-electric guitar worthy of carving and grindin..
Based on Tim Armstrong's beat-up old Sixties acoustic, on which he writes all the songs for the ..
Fender's Telecoustic Premier has the classic Telecaster® body shape, headstock design and comfortabl.. The T-Bucket™ 300CE dreadnought cutaway acoustic is even more supercharged now, with upgraded feat..
Fender's Telecoustic Plus has the classic Telecaster body shape, headstock design and comfortable ..
With its Three-color Sunburst spruce top, maho.. 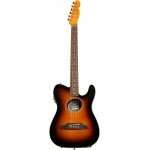 Longtime T.S.O.L. 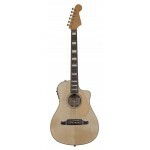 guitarist Ron Emory has infused some truly distinctive Fende..
A great sun-and fun Fender name from summer ’68 returns in the resonant form of the Redondo CE dread..
Don't let the small body of Fender's CD360SCE auditorium-style cutaway acoustic fool you—strum it ..
Small-bodied Acoustic That Feels Like an Electric The FENDER® Malibu SCE acoustic-electric guitar.. 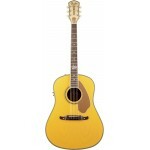 Redesigned and ready to cruise on down to your favorite surfing spot, Fender's Kingman SCE dreadno..
Fender CN 240SCE - Thinline 0960326021 The CN-240SCE Thinline is a beautifully crafted classi..
Fender’s CF-100CE Folk acoustic is a great deal with its quality contruction and generous appointm..
With the CD60CE Dreadnought Guitar, Fender has upgraded one of its best-selling guitars. 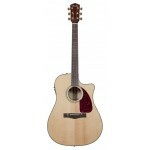 Features ..
Fender/Fishman Aero with onboard tuner on this Fender CD140SCE Acoustic Electric Guitar draw out a.. 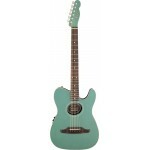 The Fender Telecoustic—with its cool Telecaster guitar body and headstock designs and C-shape neck.. The Fender Stratacoustic—with its cool Stratocaster guitar body and headstock designs and C-shape .. 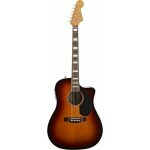 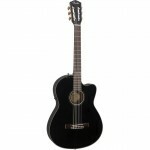 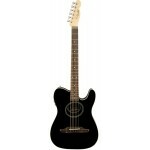 The classic design series from Fender puts the high-quality CD220 SCE acoustic-electric guitar in .. 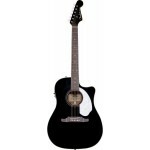 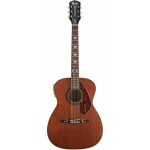 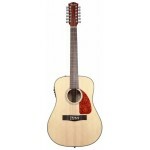 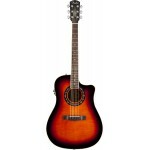 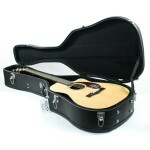 The Fender CD 280SCE Dreadnought Cutaway Acoustic-Electric Guitar is an excellent choice for the g..